Plug and play design(no drivers required),what you need to do is connect this FDD to an available USB port. Only 0.67 inch, 0.52lb ,Portable and conveniently, Easy to carry. - Data Capacity: 1.44 MB (formatted). 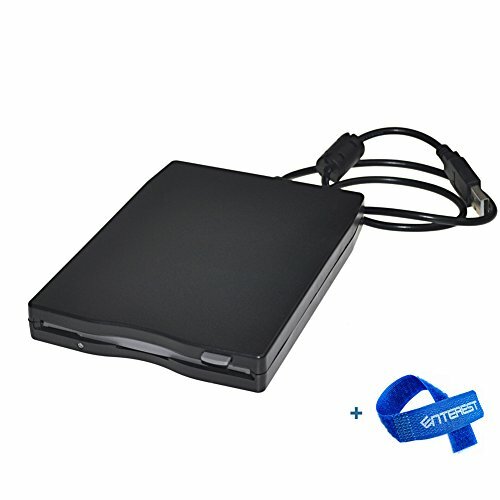 The Enterest Floppy Disk Drive is an excellent way to read any informations or data stored on your floppy discs Plug and play design(no drivers required),what you need to do is connect this FDD to an available USB port. Plug and Play,No external power supply needed. If you have any questions about this product by Enterest, contact us by completing and submitting the form below. If you are looking for a specif part number, please include it with your message.